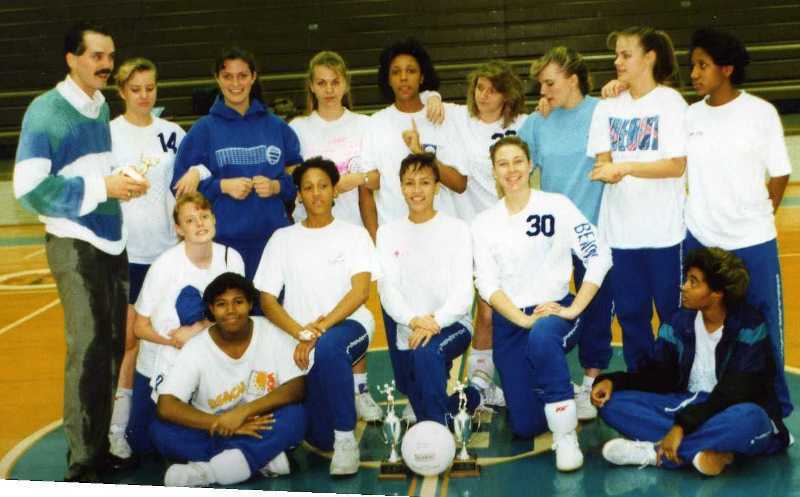 Bassett High School Bengal Volleyball Page Of Photos: 1992!!!! District Regular Season And Tournament Champions! After our final match of the season at Dan River, we took this team pic! 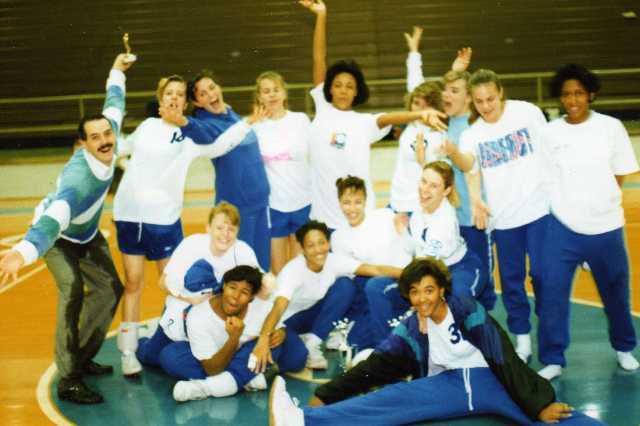 Then...........the JV's took a pic also! beating Radford High in the finals for the 2nd straight year! Touch the pictures and they'll get bigger. Warming up before the match. 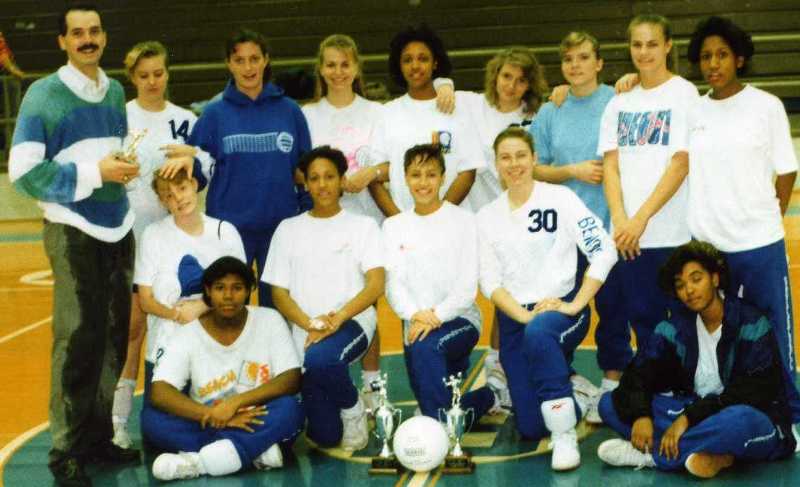 Introducing the 1992 Bassett Bengal Volleyball Team! Rozi James with the 2-hander! 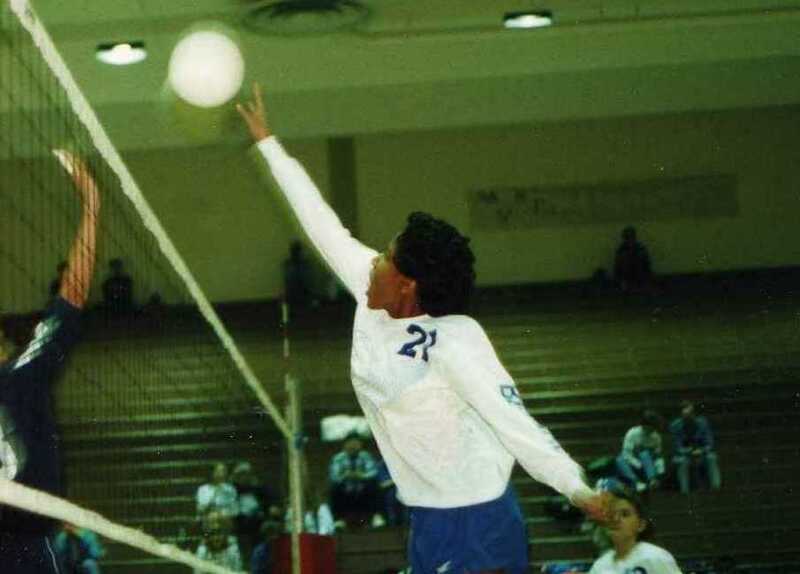 Serve receive vs. James River. Heather Burke getting playing time as a 9th grader! Senior Jamica Rumley pounds a 2 in the middle. 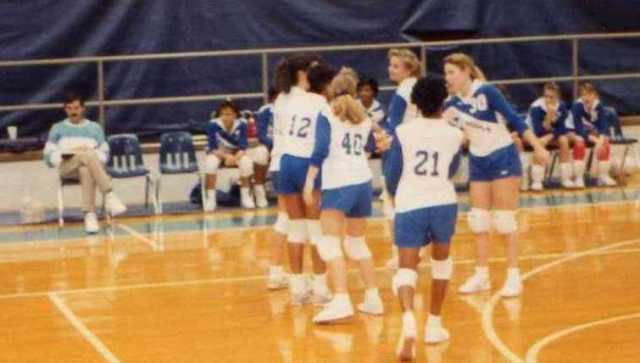 The District Tournament was back at BHS in 1992. 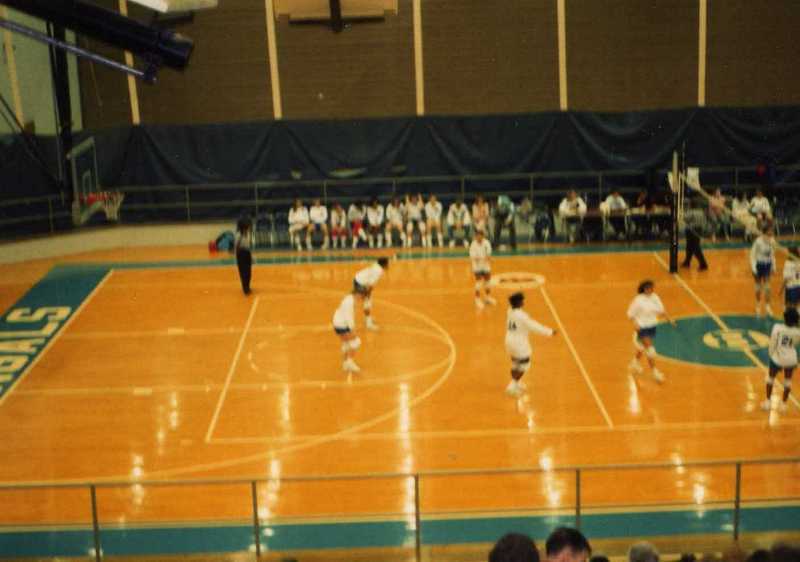 But Gretna entered the district in 1991, and won it all. Could BHS get it back? This was going to be a war!!! 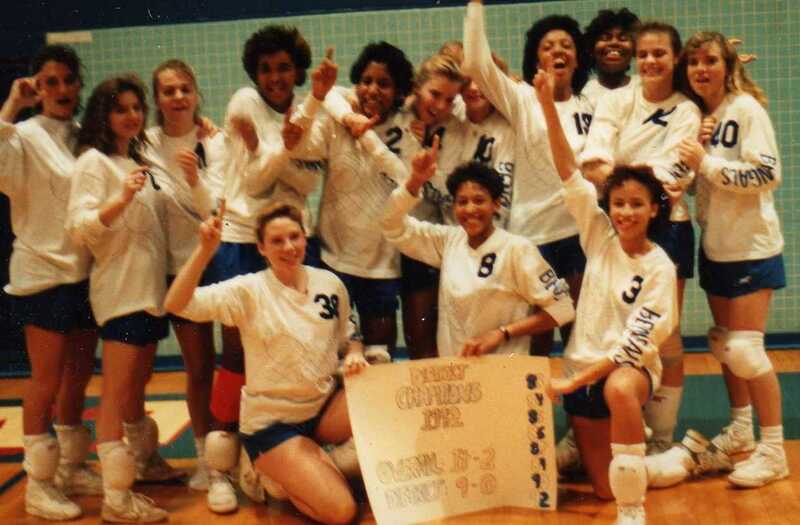 In 1992, we won the regular season. 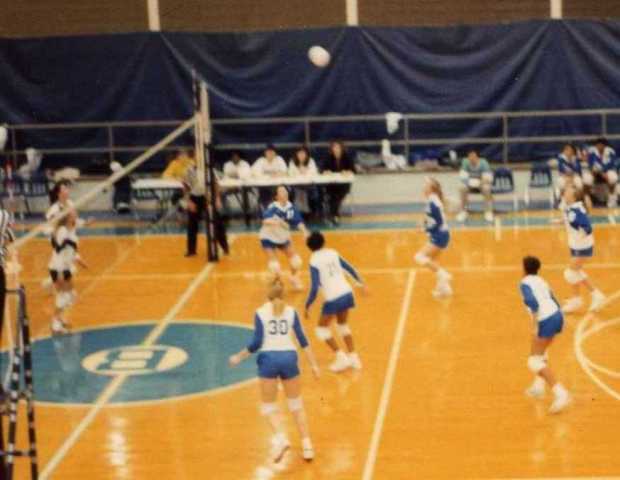 Then we had to play Gretna in the finals of districts.....at home! 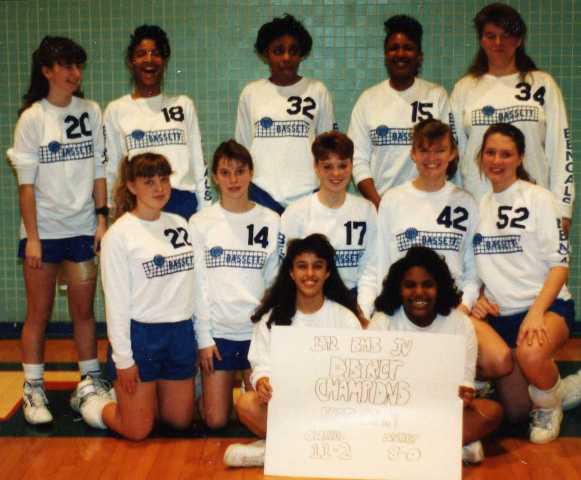 Gretna still had a brutal team, with Stacey Meadows, and several 6' front row players. After winning the match, we watched as Gretna got their awards. 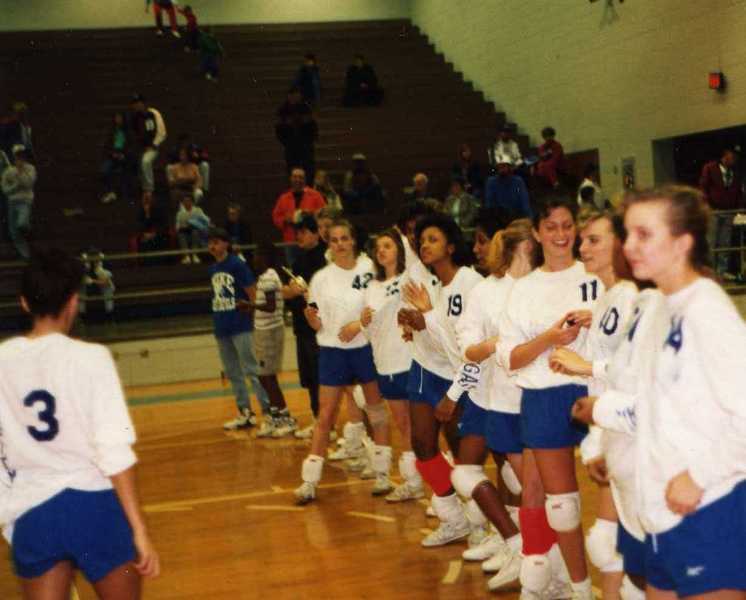 Gretna was in the Piedmont District from 1992 thru 1996. They had a GREAT program! Everyone's pretty happy! 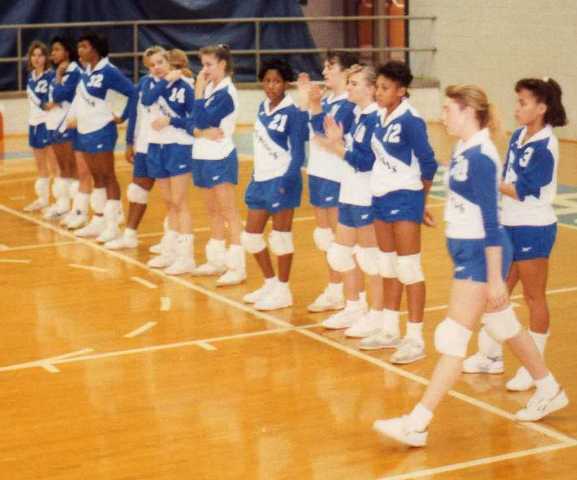 Gretna humbled us in 1991. But BHS was back on top. Three three seniors get to walk up and receive the trophy. Team picture with all our different Tshirts on. Coach Houser, what happened to you? 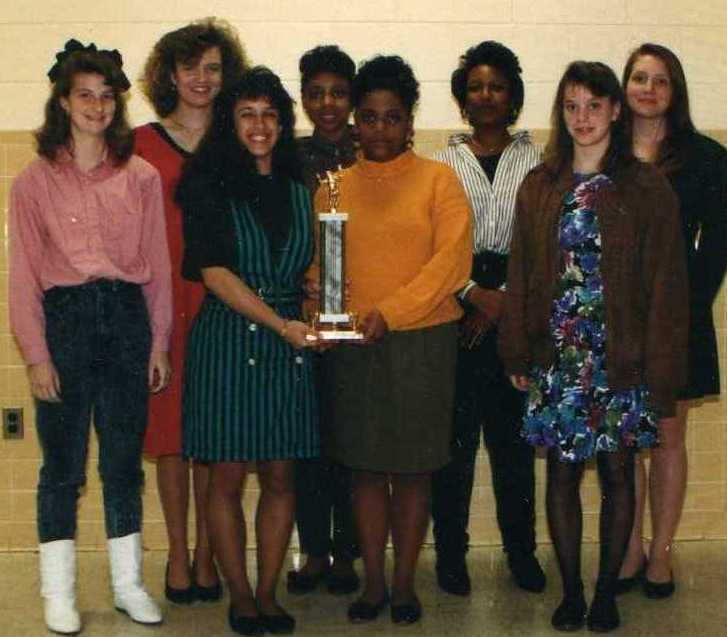 GREAT JOB, seniors and the team of 1992. Chasity.........wonder who made that sign? The End Of Season Banquet! 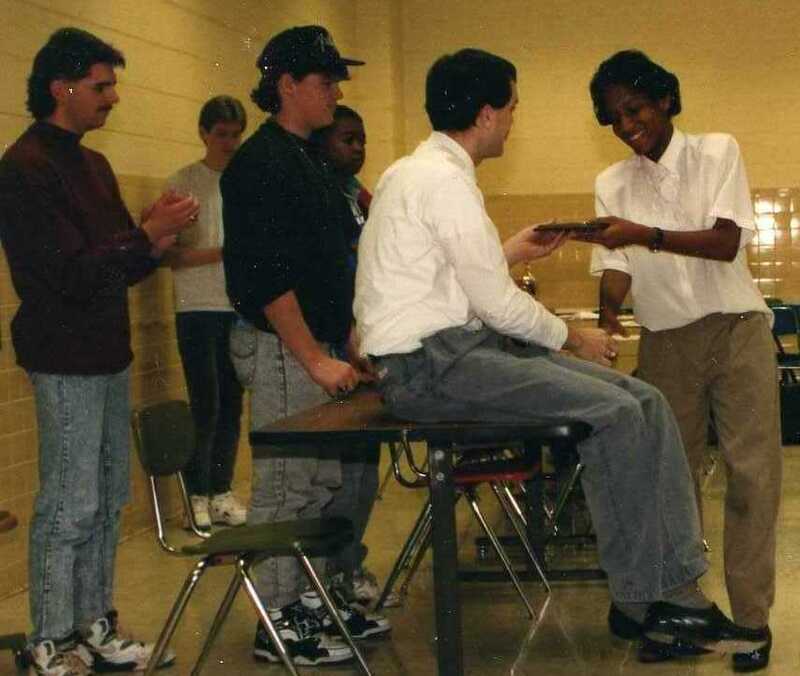 Lori Wimbush accepting her award. 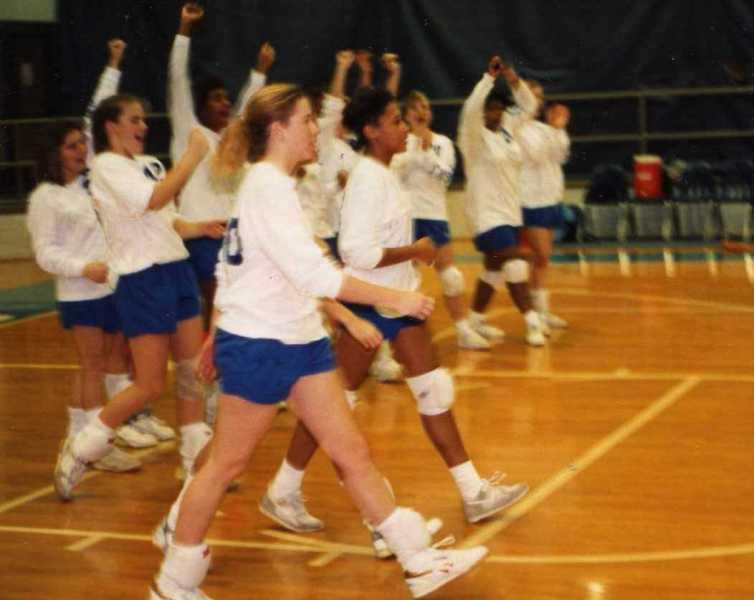 In 1993 she became only the 2nd girl in Virginia history to have over 200 spike kills in one season. The JV's accepting their individual awards. Stephanie Elliott is named team MVP. 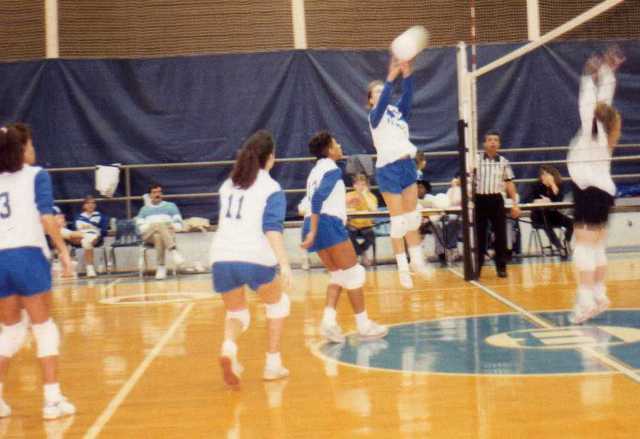 Stephanie Elliott c/o '92 went on to play 4 years at Averett College!